Amateur basketball news from the SIG - SI Graffenstaden. When we opened our Amateur basketball news section last March we chose Strasbourg Illkirch-Graffenstaden as a club looking to the future. Since then the club went on to complete the domestic grand slam in winning the NF2 national final, the French cup (Trophée Coupe de France) and also their region cup competitions sponsored by Crédit Mutuel, a regional bank. Who are the SIG and where are they based? In general reporting about basketball in France the term Strasbourg IG is mainly used in official documentation so as not to confuse the SIG with Racing Club de Strasbourg. The club headquarters have always been located in Illkirch-Graffenstaden, a suburb of Strasbourg. Although the men's senior team that plays in Pro A use the name of the SIG, they are not the owners of the name and are a separate entity that was created to split the professional organisation from the amateur section. The men's home court is the Rhenus Arena with a capacity of 6500. This arena is situated in Strasbourg. The senior men's team and the U21 side are the only teams that play in the Rhenus. The other twenty-four teams play in Illkirch-Graffenstaden. The SIG has an official licence count of 494 members and is one of the biggest clubs in France. 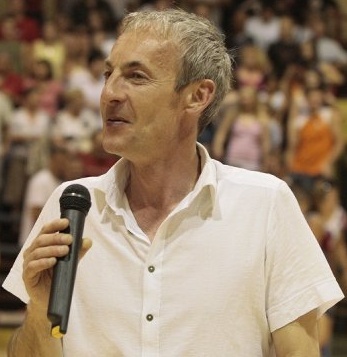 During the season 2003-2004 Jean Denis Gancarski came to the club and managed the cadette France U18 team and took them all the way to the National final four. The SIG have attended national final or Cup competition in every season that followed. Gancarski then left the club at the end of 2004-005 only to return this season (2007-2008). 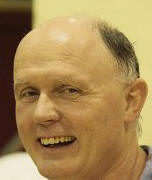 His job this time was to coach the second team in NF3. His team finished third after amazing run of eight consecutive victories at the end of the season. Although the side finished third, they may have qualified for promotion to NF2. On his return back to the club the first team in NF2 won the championship with a roster that contained five players that passed through his hands while playing at U18 level. 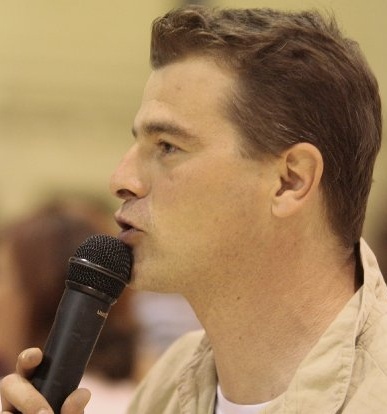 Stéphane Weber is the head coach of the U15 team that have been playing in the National championships for 10 years. If you are to look at his win loss record over the last 4 years it is probably one of the most impressive in the League. In the days before the school for talented players between the age of 13–14 was created in Strasbourg he spent his time looking out for talented players that has the skills required to play in the national championship. He had a difficult start in 1998 but by 2002-2003 his team qualified for the second division of the U15 final four and finished third. He then qualified for his first national final four first divisions final in 2005 after eliminating Villeneuve d'Ascq in the critical play-off match. In 2006 a school for talented young players was created in Strasbourg and a number of players from this school played for the SIG. He was back again in the final in 2006 and finished fourth for the second time. He missed out on the national finals in 2007 after losing out to Villeneuve d'Ascq in the deciding group game. The rules changed slightly this season and despite winning all 20 group games, they had to play in a two leg quarter-final match against his old rivals Villeneuve d'Ascq. The SIG won the series and went to win the final four for the first time in the clubs history. 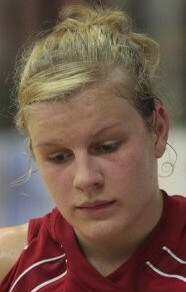 Aline Fischbach (in picture) the youngest player in the senior team today played for Stéphane Weber. Three of the new recruits for next season for the senior team, Aminata Konate (Paris Basket /USVO), Jessica de Amorim and Allison Vernerey have had the experience during their U15 careers to play against teams build by Weber. The SIG have always had a policy of looking for youth players to supplement their senior teams and in 2005 after their first final four Herve Henry had identified 12 players that he wanted to come and join the SIG for U15 competition. As it was not possible to take them all, the 1993 born players went off to play elsewhere but both players were back in the club in time for the 2008 success. Seven other players from his list are still at the club today playing at U18 level. The SIG now have a procedure in which they actually prepare players between the age of 12 and 13 for the challenge for playing in the national championships. Although this site is about women's basketball and the SIG is a big club in terms of women basketball; they also have youth teams for boys. Lauriane Dolt who actually plays for the women's second team in NF3 vocation is training. She currently coaches in the boys in the U15 national competition This is only the second season back in this class for the boys after a five year break. Breitenbucher (left) has been head coach of the women's team since 1993 and has been assisted by Geyer (right) for most of the time. They have build several teams over the years are well known for their contribution to women's basketball. They have always managed to keep players for a period of time so they have never had to make big changes in their roster so unless you look very closely you would believe it is always the same team. NF1 has been a project the club has worked on seriously for the last three years and both men are not too worried about the task ahead. They have acquired four players of whom three are still teenagers. Some players from the first team have dropped down to the second team to accommodate the new players. Luc Pfister took over the reigns of the club at the end of the 2004-2005 season but has been involved with the club for many years. His children are players at the club and have been involved in the joy and tears of the youth teams in recent seasons. One of the major problems for all amateur clubs is managing budgets. His experience as a banker has helped the club to balance their books. The SIG are one of the few clubs in the country that play in all the national competitions (NF2/NF3/U18/U15) for women and also U15 boys. They used to also have the senior men's team in N3 but they were relegated a few years back. When it comes to travelling to away games over a certain distance all the teams in the national competitions are treated the same way and travel in a 50/60 seater bus. This is a closest the teams gets to professionalism as all the players in the club are not paid. Most of the senior players including the coaches have other jobs and the younger players are students. This has been the way of the club for sometime and will continue next season. To end the Amateur basketball news for the current season, Pfister has decided one change for next season: Strasbourg IG is no more but SI Graffenstaden will be the official name of the club.